Mozilla is doing a lot of work on HTML 5, mainly through it's Firefox OS offering, to provide a system which will work across all platforms without the need to develop for each different vendor. 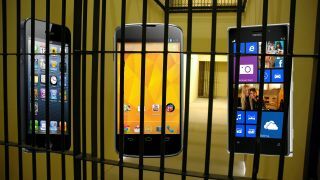 "Mobile phones are jails, and you have to pick one to sit in. The vendors control everything that happens in them," explained Andreas Gal, Vice President of Mobile Engineering at Mozilla, at Qualcomm's Uplinq conference in San Diego. "They are very shiny jails, they're nice jails, but you can't escape. As a developer you have to develop apps for each system separately, while users can't move their apps between operating systems." So what is Mozilla doing about this problem? Well it's working hard on HTML 5, a web based standard which works across all platforms and devices including smartphones, tablets and computers. You can access HTML 5 via any browser, meaning developers are not locked into a particular company's way of thinking and the one app can work everywhere which means less work and money saved for devs. The advantages obviously extend to users as well, as you don't need to worry about the device you're using, as the HTML 5 apps and services will run happily on the browser, be it Safari, Chrome or Internet Explorer. Now Mozilla is peddling it's own Firefox OS which runs on HTML 5, but as Brendan Eich, SVP of Engineering explained it's not looking to take on the big guns in the mobile market with it. "We just want to get Firefox OS out there to show what can be done with HTML 5 and encourage others to adopt the standards," he said.